Travelers who love the perfect climate and beautiful sceneries of Canberra sometimes meet challenges when it comes to finding a perfect place to stay for a short term business trip. That's why serviced apartments in Canberra are so perfect. You are probably wondering why a traveller should choose a serviced apartment in Canberra? Well there are many reasons why this is the perfect option. And it gets even better when you consult the services of a dedicated accommodations company such as Corporate Keys. Why are Serviced Apartments in Canberra the Best Accommodation for Travellers? Travelers always look for convenience especially when travelling to a location for the first time. Convenience is what you get when you choose these short term rentals in Canberra that are offered by Corporate Keys. You will want to feel at home away from home. Imagine having that great feeling of walking in through your own apartment door even if Canberra is a totally strange city to you. Corporate Keys makes the magic of these establishments a reality. So if you are a weary business traveller, you will want a place to relax after a long day in the rat race. The fact that Canberra is a big city also forces executive apartments to have the best services. This is why you will have your own television, sofa set, even a kitchen at far less than what you would normally pay for at a hotel which has the same amenities. The kitchen in a Corporate Keys Residence Apartment is a godsend. You won't ever have to rely on fast food restaurants or take-away while in town. And the best part is that Canberra has many grocery stores with vegetables fresh from the farm. There is a freezer you can put your left overs and a microwave to warm your food when you are too tired to cook. Convenience is all you get from your serviced apartment in Canberra. Familiarity is also a benefit you stand to enjoy with executive apartments in Canberra. There are two recognized types of serviced apartments Corporate Keys provide. Travelers have the liberty to choose between the two for what they consider more suitable. For instance, those who can't get enough of the hustle and bustle of Canberra can have apartment hotels-these are simply serviced apartments that offer a hotel-type atmosphere. Just like a traveller's inn, guests in this type of establishment have in-house bars and restaurants. This is what most solo travellers look for, as well. Corporate housing is the other type of serviced apartment normally booked by businessmen who prefer a more genteel accommodation. These executive apartments in Canberra are also fully furnished but come bundled with great services such as cleaning, laundry, and also utility charges. This is what you will normally find at the heart of Canberra. However, you will also find a few in the suburbs especially those that try to facilitate the concept of coming home to a quiet and convenient environment. That's the best news you will ever receive especially if you are travelling with your family. When you stay in a fully furnished serviced apartment in Canberra, you will have plenty of space to move around. So you don't have to leave your family back at home when you decide to go on holiday. In fact, your children will be more than pleased to stay in a short stay apartment in Canberra while you go out for your business dealings. You will definitely have fewer things to worry about. When travelling out of town, the less you have to worry about the better. The accommodations you can book through Corporate Keys have all of the glitz and glamour of a hotel. Your serviced apartment will be larger than a hotel and include creature comforts like a full kitchen, housekeeping service, and concierge assistance. So the next time you think of going to Canberra, remember that the best short term accommodation in Canberra is one that is so comfortable you can eagerly call it home. Canberra, like most modern cities, has invested time and money to ensure the security of its citizens is upheld. The serviced apartments provided by Corporate Keys are located in safe neighbourhoods of the city and are within an enclosed facility. For added safety, Corporate Keys accommodation has professional staff onsite to tighten the security of the area. A 24- hour reception service is readily available in case travellers need special assistance or faced with any issues. When you decide to travel from your home to a different location, you want to have a peace of mind. The perfect security from these establishments ensure all your worries are taken care of. That said, serviced accommodations in Canberra are the better option for business travellers. They have proven to be less expensive and more comfortable. You save money that would have been used to buy cooked food, furniture and other household goods. You are also expected to feel more welcomed than you would in other boarding solutions. Get yourself a serviced apartment in Canberra from Corporate Keys today and enjoyeverything Canberra has to offer. Have you considered these Canberra furnished apartment buildings? 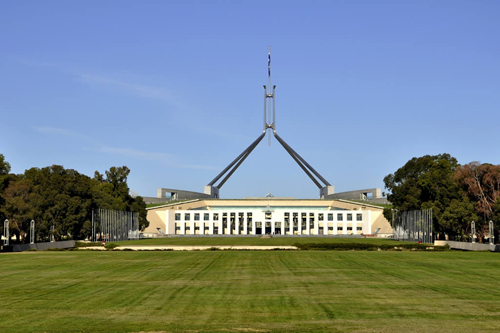 Have you considered these suburbs for Short and Long Stay Canberra accommodation?